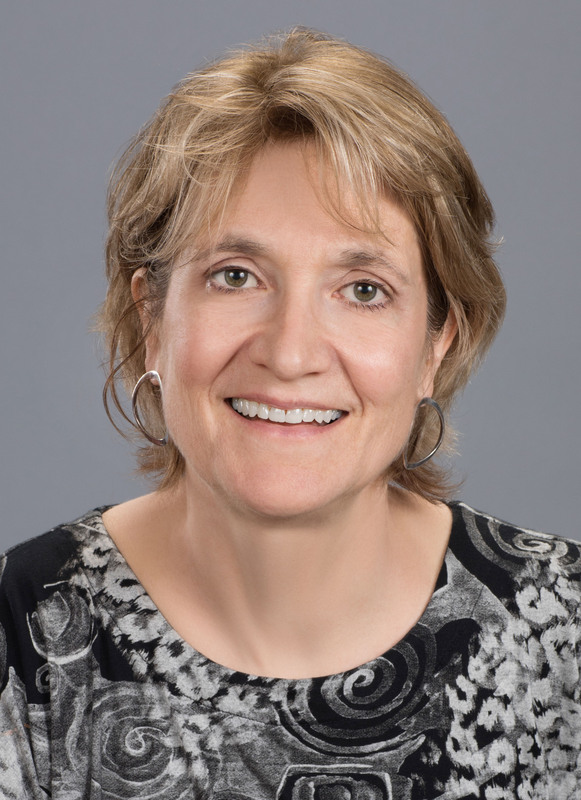 Christine Desan teaches about the international monetary system, the constitutional law of money, constitutional history, political economy, and legal theory. She is the co-founder of Harvard’s Program on the Study of Capitalism, an interdisciplinary project that brings together classes, resources, research funds, and advising aimed at exploring that topic. With its co-director, Prof. Sven Beckert (History), she has taught the Program’s anchoring research seminar, the Workshop on the Political Economy of Modern Capitalism, since 2005. Desan was a fellow at the Radcliffe Institute for Advanced Study during the 2015-2016 academic year and at the Massachusetts Historical Society in the fall of 2016. Desan’s research explores money as a legal and political project, one that configures the market it sets out to measure. Her approach aims to open economic orthodoxy to question, particularly insofar as it assumes money as a neutral instrument and markets as autonomous phenomena. She has recently published a book called Making Money: Coin, Currency, and the Coming of Capitalism (Oxford University Press, 2014). She is also the editor of Inside Money: Re-Theorizing Liquidity (forthcoming, University of Pennsylvania Press), and co-editor with Sven Beckert of Capitalism in America: New Histories (2018). Her articles include "The Constitutional Approach to Money: Monetary Design and the Production of the Modern World," in Money Talks: Essays in Honor of Viviana Zelizer, Bandelj and Wherry, eds., (Princeton: Princeton University Press, 2017) and “Strange New Music: The Monetary Composition Made by the Enlightenment Quartet,” forthcoming in Money in the Age of Enlightenment (Bloomsbury Press, 2019), available at Available at SSRN: https://ssrn.com/abstract=3217621. Desan is on the Board of the Institute for Global Law and Policy, is a faculty member of the Program on American Studies at Harvard University, and has served on the editorial board for the Law and History Review and as an advisory editor of Eighteenth Century Studies. In Brookline, MA, Desan served for 10 years on a town committee that researched and drafted legislation promoting campaign finance reform, and that supervised that reform once it was enacted. Christine A. Desan, The Constitutional Approach to Money: Monetary Design and the Production of the Modern World, in Money Talks 109 (Nina Bandelj, Frederick F. Wherry & Viviana Zelizer eds., 2017). In the modern lexicon, money is pure instrumentality, a colorless medium that transparently expresses real value. Contrary to that trope, however, we can get “inside” money: we can reconnoiter it as a structure entailing value that is engineered by certain societies. Taking a “constitutional approach” to money reveals its internal design, the architecture that creates a commensurable unit of value, enables it to travel, and enforces it as the preeminent way to pay. Seeing money’s internal design opens up new worlds. We can compare the medieval and early American methods of making money and consider how those methods shaped their markets. More remarkable still, we can locate the radical change in money’s design that institutionalized capitalism. That phenomenon arrived when the English government installed the self-interest of commercial actors as the pump at the heart of money creation. The revolutionary redesign produced unprecedented liquidity - the powerful markets and troubling pathologies of modern finance. It also produced an odd and self-protective artifact - the trope that money itself was empty, devoid of design and unworthy of our eye. Christine A. Desan, Making Money: Coin, Currency, and the Coming of Capitalism (Oxford Univ. Press 2014). Christine A. Desan, The Market as a Matter of Money: Denaturalizing Economic Currency in American Constitutional History, 30 Law & Soc. Inquiry 1 (2005). Histories of the early American political economy present that world in fractured form, dividing political and constitutional dimensions from economic aspects. The fragmented approach reflects an old, oft‐denigrated, but still powerful imagery, one that naturalizes economic activity as a set of myriad spontaneous and individuated exchanges, conducted with a conventional medium, money, and predictably composing a market sphere. The motif and its underlying assumptions in turn dissuade exploration of money and markets as territories of public decision, insulating by neglect the structural power of determinations made there. This essay traces the naturalization motif through a historiography of macroeconomic models of money. It then considers how money, recognized as a dynamics of value, would look if the law structuring it were approached as a complex set of relations that expressed, reiterated, and revised the distribution of authority in society. The early American political economy appears in a different light: money becomes a matter of value and governance at once, and therefore a crucial area of constitutional debate. Through that medium, the political economy of early America is transformed not once but repeatedly, from a mercantilist to a domestic paper to a liberal capitalist form. Christine A. Desan, Strange New Music: The Monetary Composition Made by the Enlightenment Quartet (July 21, 2018). Across Europe and the Americas, the Enlightenment brought intellectual and institutional tumult over that most basic attribute of the political economy – its medium. By the time the age was over, money operated according to a new design. It enabled a set of financial practices that were unprecedented: modern money worked synergistically with circulating public debt, capital markets, and commercial banking. Together, that quartet of innovations transformed the political economies of the West. The essay considers the themes of that change, including the depth of conceptual innovation on money and finance, the range of institutional experimentation, and the contentious nature of the debate. The essay takes a short tour of the Enlightenment quartet to suggest how interdependent was (and is) the development of those institutions. American Capitalism: New Histories (Sven Beckert & Christine A. Desan eds., 2018). The United States has long epitomized capitalism. From its enterprising shopkeepers, wildcat banks, violent slave plantations, and raucous commodities trade to its world-spanning multinationals, its massive factories, and the centripetal power of New York in the world of finance, America has shaped political economy for two centuries and more. But an understanding of "capitalism" is as elusive as it is urgent. What does it mean to make capitalism a subject of historical inquiry? What is its potential across multiple disciplines, alongside different methodologies, and in a range of geographic and chronological settings? And how does a focus on capitalism change our understanding of American history?American Capitalism collects cutting-edge research from prominent scholars, sampling the latest work in the field. Rather than a monolithic perspective, these broad-minded and rigorous essays venture new angles on finance and debt, women's rights, slavery and political economy, labor, and regulation, among other topics. Together, the essays suggest emerging themes in the field: a fascination with capitalism as it is made by public authority, how it is experienced in the detail of daily life, how it spreads across the globe, and how it can be reconceptualized as a discrete and quantified object. A major statement for a wide-open field, this book demonstrates the breadth and scope of the work the history of capitalism can provoke. Christine A. Desan, Money as a Legal Project, in Money in the Western Legal Tradition 18 (David Fox & Wolfgang Ernst eds., Oxford Univ. Press 2016). This chapter summarizes the case for considering money as a legal institution. The Western liberal tradition, represented here by John Locke’s iconic account of money, describes money as an item that emerged from barter before the state existed. Considered as an historical practice, money is instead a method of representing and moving resources within a group. It is a way of entailing or fixing material value in a standard that gains currency because of the unique cash services it provides. The evidence to that end comes from coin itself, the practice of free-minting, judicial commentary, and academic theorizing. As the second half of the chapter details, the relationships that make money work are matters of governance carried out in law. Thus law defines public debt, allocates authority to create money, and determines what counts as a ‘commodity’. Comparing medieval, early American, and modern money law on money demonstrates the dramatic importance of that legal engineering. Christine A. Desan, Money as a Legal Institution, in Money in the Western Legal Tradition: Middle Ages to Bretton Woods 18 (David Fox & Wolfgang Ernst eds., 2016). Christine A. Desan, Decoding the Design of Money, Eur. Fin. Rev., Feb./Mar. 2015. We often imagine that money is a simple stand-in for value. In fact, money has an internal design; it is collectively engineered by the societies that use it. Decoding money’s design reveals that money holds value based on its use for public obligations and the premium it carries in private exchange. Decoding money’s design also exposes moments of radical change in its collective engineering. Christine Desan compares the design of commodity money with the design of money produced by modern banks of issue. The modern method shares the monopoly traditionally held by the public with private actors, pays them for money creation, and institutionalises self-interest at the heart of the political economy. Christine A. Desan, Constitutional Money: A Review of the Supreme Court's Monetary Decisions, 53 J. Econ. Literature 1036 (2015) (reviewing Richard H. Timberlake, Constitutional Money: A Review of the Supreme Court's Monetary Decisions (2013)). Christine A. Desan, Creation Stories: Myths About the Origins of Money (Harv. Pub. L. Working Paper 13-20, Jul. 30, 2013). A myth about the origins of money has long organized modern approaches to the medium. According to that creation story, money is the natural product of human exchange. It can be analogized to a commodity like silver that comes to hand out of the decentralized activity of trading or a convention like language that arises out of a consensus about the value of an item. But if we consider clues about money’s origins and extrapolate from its continuing practice, another story comes into focus. It suggests that money is a constitutional project, a mode of governance for a material world. Money is a means of mobilizing resources across a collective, one created when people advance in-kind value to a stakeholder in return for a unit that represents that advance. The process both entails material value – the advance to the stakeholder is real – and converts it into a form that everyone else recognizes – the advance holds independent value because it offers a countable measure that can be transferred to make final payments. Money creation tied to a fiscal backbone can be expanded in response to the demand for cash: that practice accords both with modern economic theory and the English medieval history that furnishes the setting here. In contrast to the dominating myths about money, the “stakeholder” creation story explains how each of money’s functions is institutionalized and how that activity shapes “the market” that is made by money. Christine A. Desan, Law and the Economy of Early America: Markets, Institutions of Exchange, and Labor, in The Blackwell Companion to American Legal History 269 (Sally E. Hadden & Alfred L. Brophy eds., 2013). Christine A. Desan, Coin Reconsidered: The Political Alchemy of Commodity Money, 11 Theoretical Inquiries in Law 361 (2010). Medieval coin plays an essential role in the imagined history of money: it figures as the primal "commodity money" — a natural medium, spontaneously adopted by parties in exchange who converge upon a metal like silver to represent the value of other goods. As a natural medium with a price objectively established through trade, commodity money appears to offer an independent means of measure in the market. But as the history offered here reveals, medieval money was nothing like its imagined alternative. England’s early coin became a medium when the government began to spend and tax in that unit of account, took coin as a mode of payment, and allowed it to be transferred between people in the meantime. Individuals participated in the arrangement, paying for coin in exchange for the unique quality — liquidity — that set money apart from a commodity. That quality was orchestrated by the very channels that brought public and private together in the project of making a medium. In fact, insofar as the English equated money with the commodity it contained, they engineered instability into the heart of their medium. Depreciating coin — diluting its commodity content — offered a cure. It also confirmed that coin had never been the "commodity money" imagined in later accounts. Coin was, instead, a constitutional medium, one that related the government to its participants and thus helped to configure the world it appeared merely to measure. Christine A. Desan, Beyond Commodification: Contract and the Credit-Based World of Modern Capitalism, in 2 Transformations in American Legal History: Law, Ideology, and Methods - Essays in Honor of Morton J. Horwitz 111 (Daniel W. Hamilton & Alfred L. Brophy eds., 2010). Modern capitalism, argued Mort Horwitz in the Transformation of American Law, 1780-1860, arrived with a new approach to contract. The claim was one of the most controversial that Horwitz made-and he made quite a few. I want to pick it up and push it from an angle that Horwitz never intended, although I like to think that he might endorse it. In honor of Horwitz, I will suggest that capitalism, so commonly identified with "commodification," came about precisely when society moved beyond commodification and into a world made possible by new forms of liquidity. Those forms of liquidity, the social relationships that they engendered, and the distribution of wealth that they supported were distinctively governed by a new approach to contract-an approach to contract that, with its sanctification of the ex ante terms of a promise for value, was very like the one that Horwitz flagged as the modern turn in his book. Christine A. Desan, Legislative Power, in The Oxford International Encyclopedia of Legal History (Stanley N. Katz ed., 2009). The Oxford International Encyclopedia of Legal History is a comprehensive, international, interdisciplinary reference work that includes approximately 1,000 articles on all aspects of legal history throughout the world. Christine A. Desan, From Blood to Profit: The Transformation of Value in the American Constitutional Tradition, 20 J. Pol’y Hist. 26 (2008). Christine A. Desan, Laura Jensen, Patriots, Settlers, and the Origins of American Social Policy, 23 Law & Hist. Rev. 470 (2005)(book review). Christine A. Desan, Out of the Past: Time and Movement in Making the Present, 1 Unbound: Harv. J. Legal Left 39 (2005). Christine A. Desan, Contesting the Character of the Political Economy: Rights and Remedies in the Early Republic, in The House and Senate in the 1790s: Petitioning, Lobbying, and Institutional Development 178 (Kenneth R. Bowling & Donald R. Kennon eds., 2002). The U.S. Constitution left it notoriously ambiguous whether individuals could sue sovereign states for breach of contract in federal court. Within a few years, the issue had produced a constitutional crisis, famously acted out in the Supreme Court’s determination that states were subject to suit, Chisholm v. Georgia, 2 U.S. 419 (1793), and the political reversal of that permission, the Eleventh Amendment. The essay reconstructs the context that gave rise to the suit, its determination, and its political reversal. Colonial Americans had created a constitutional order that located legislative authority over the economy as the essential channel to self-determination, popular sovereignty, and calibrated justice over shared resources. But both political economic practices and conceptions about sovereignty were changing. The Supreme Court’s jurisdictional assertion was part of the movement towards an order that elevated judicial authority, locating it as the critical instrumentality in a liberal state where rights were supposed to exist independent of social and economic circumstance. The strategies adopted by the Chisholm claimant to define the obligations of contract and obtain a remedy showcase that transition. From Robert Farquhar’s 1784 death at sea on his way to obtain relief to the state of Georgia’s 1889 claim to reimbursement from the United States in the U.S. Court of Claims, the effort spanned more than a century. It took both individual and state claimants from executive officials and legislative committees to the increasingly ascendant courts. Christine A. Desan, Writing Constitutional History beyond the Institutional/Ideological Divide, 16 Law & Hist. Rev. 391 (1998). History is a strange medium: it carries the most contemporary debates onto the most distant terrain. Both Bruce Mann and David Konig focus on the notions of change and context that undergird the forum essays. Those issues, more than any moment in early New York, link the articles and the comments. By exploring the way we defined “constitutions,” “constitutionalism,” and “constitutional history,” the commentators open up a large and current question. They invite a discussion about approaches to constitutional change. Christine A. Desan, Remaking Constitutional Tradition at the Margin of the Empire: The Creation of Legislative Adjudication in Colonial New York, 16 L. & Hist. Rev. 257 (1998). Christine A. Desan, The Constitutional Commitment to Legislative Adjudication in the Early American Tradition, 111 Harv. L. Rev. 1381 (1998). Americans in early New York, and likely in many of its sister provinces, created a distinctive constitutional tradition - they gave their political representatives the authority to interpret public law by making the legislature the forum that resolved claims against the government for money. That constitutional commitment to legislative adjudication profoundly affected the experience of government. The assembly became the center of everyday provincial administration in practice, and claimed a corresponding stature in theory, as the institution that protected the people's property in a newly literal sense. Legislative adjudication connected constituents directly to their representatives over matters of right; the interaction produced a novel kind of legality. Participants regarded the process of determining claims as one that involved law and legal obligation. At the same time, representatives treated the act of defining public debts as an important political matter. The tension created by a regime in which rights were both binding on the government and yet dependent on balancing public and private ends was mediated by the "public faith." The constitutional order of the community depended on whether, and how far, legislators could keep that faith. Christine A. Desan, Stephen G. Breyer, in The Supreme Court Justices: Illustrated Biographies, 1789-1995 (Clare Cushman ed., 1995). Presents a biography of every Supreme Court justice from John Jay to Elena Kagan, profiling the main realm of each judge's jurisprudence, the major cases in his or her tenure, and relationships developed with other members of the Court. Christine A. Desan, Perfect Violence, 7 J.L. & Religion 99 (1989). Imagine a strange and common experience—you reach for something concrete, immediately in front of you—only to find that the solid has evaporated. Accelerate towards a pool of water on the road, outline a column of light, cup your hand around smoke or fog. The reflection waits on the pavement before you, the column stands endlessly beside you. When you open your hand, it is empty. Only a residue, carbonate or cool, attests to the reality that was smoke or cloud. Thus we create a curious category of realities undeniable but impossible to grasp. Older now, but still determined, we continue to fill the category: it grows more sophisticated, stranger and more various with our experience. It is fed each time we try to capture, this time in words or memory, a scent, a face, a motion that defies definition. It is fed by all the realities language cannot describe and by all that is known in the way of an old routine, with familiar and fading certainty. It is fed by everything eminently sensible and constantly elusive. Power perhaps.